This is the most interesting concept for a movie I have ever seen. For years we have watched bad guys get killed over and over again with no repercussions to the main character. We rarely see a movie, where the bad guy’s friends want revenge. I think this movie will start a new trend of movies coming out. First of all, Taken1 was great, a 5/5 to say the least. Taken2 has what you would expect and more. Just from the name alone, you can imagine it’s about someone getting kidnapped and Liam Neeson saving that person. It kind of reminds me when the Hangover 2 came out. People complained it was too much like the first one. Well what else could you expect from a sequel? 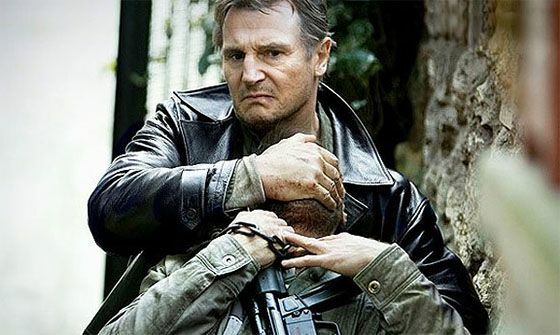 Taken2 adds a whole new premise by having the revenge aspect to it. Who would’ve thought that these few random people that Neeson killed had a family, gang member friends who want revenge. I think this will be a huge hit. Yes, we do see movies where revenge for what happens in the first one happens, but that’s usually when the main villain of the first one dies and in the second one someone tries to avenge his death. This hasn’t happened with random no nothing characters. I am already giving this movie a predicted 5/5. Not an Oscar nominee however. I think it’s going to be more of an Action Movie Classic. Box office hit, but that’s it.